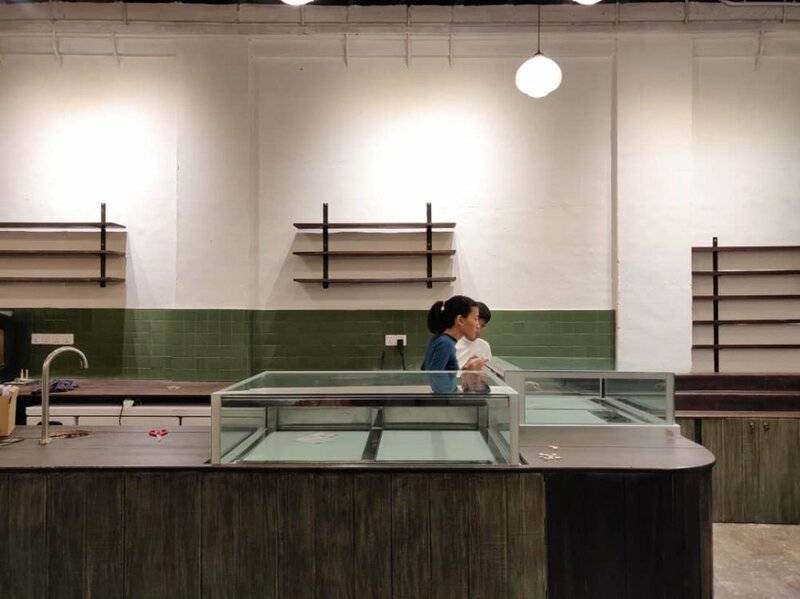 Seniman Kakao is opening a cafe on the fringes of Bukit Bintang. Work has been underway for several months now and we’re finally nearing completion. A cutaway view of the design. The cafe is in an old colonial house and we’ve taken care to preserve the feel of the building. It’s got bar seating downstairs and plenty more space to lepak upstairs. 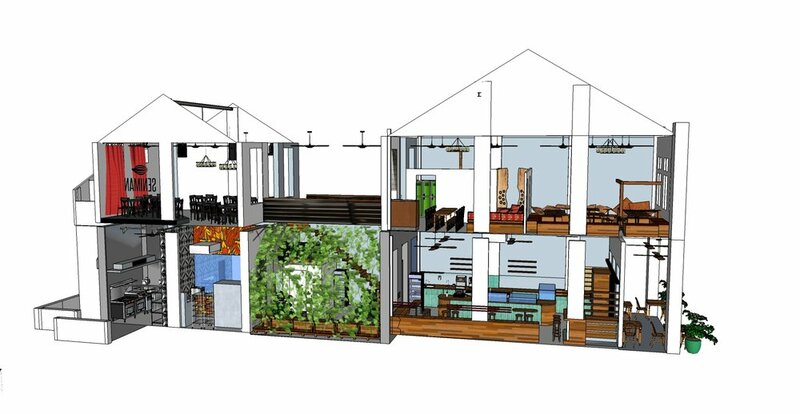 The cafe is going to be similar to our TTDI cafe, Artisan Roast Coffee with great value and healthy breakfast and lunch. However, the focus will be on chocolate instead of coffee. We have a chocolate spout pouring molten chocolate, bon-bons in a display cabinet, a retail area and a chocolate propaganda booth where you can learn about speciality chocolate. We’ve still got a lot of work to do, not least getting some more plants in to get the courtyard feeling right, but we're nearly there. Stay tuned… we’ll be opening any day soon! Masyi pushing the cake display into position.